ABBOTTSTOWN, PA 7/28/2018 – York’s Chase Dietz survived 23 grueling non-stop laps through heavy lapped traffic and fought off the late-race challenges of Adam Wilt to record his third career win in the 25-lap 410 sprint feature Saturday night at the Fabulous Lincoln Speedway. By virtue of his heat win earlier in the night, Dietz outraced fellow heat winner and polesitter Randy Baughman to lead the first lap at the start of the 25-lap feature. Fourth-starting Tim Glatfelter got by Baughman for the runner-up spot on the second lap, just before the only stoppage of action on the third. Austin Hogue stopped in turn two on the third lap to bring out the caution. Little did anyone think at that time it was the last. Dietz immediately went back to work on the top-side of the track on the restart and pulled away to nearly a one second lead over Glatfelter as the front-runners entered lapped traffic on the ninth lap. With lapped cars battling for position all around the leaders, Dietz continued to make the high-groove work and opened up a one and a half second lead on Glatfelter with 10 laps to go. Lapped cars started to became a serious issue as the laps wound down and forced Dietz off the top groove several occasions, allowing Glatfelter and sixth-starting Adam Wilt close the gap. Wilt began to assert himself with five laps to go and got around Glatfelter for second in heavy lapped traffic with five laps to go. At the same time the race-leading Dietz got bottled up behind several lapped cars and suddenly saw Wilt to his inside with three laps to go. And so the race was on to the checkered as Dietz and Wilt tried desperately to find an opening to get clear of the lapped cars. Dietz found the opening he needed and slipped away over the final two laps to take the checkered .59-seconds ahead for his first 410 sprint win at Lincoln since July 16th 2016. “I had lapped cars fighting for position and just did what I could to stay in front,” said a happy Dietz as he celebrated with family and friends in victory lane. Wilt settled for a hard-fought second place finish, with Glatfelter finishing third. Ninth-starting Alan Krimes and 10th-starting Jim Siegel finished fourth and fifth respectively. Completing the top-10 were Matt Campbell, 15th-starting Brian Montieth, Tyler Ross, 21st-starting Brandon Rahmer, and 17th-starting Kyle Moody. Heats for the 24 410 Sprints on hand were won by Scott Fisher, Baughman, and Dietz. After winning nearly everything there was to win in micro-sprint racing, Mifflintown’s Tyler Walton had yet to win in a 358 sprinter at Lincoln Speedway. That was until Saturday night. Just as it appeared Walton was going to settle for second behind Wyatt Hinkle in the 20-lap 358 sprint feature, a caution followed by a red flag for three flipping cars battling for top-five positions with five laps to go. The restart gave Walton the opportunity he needed and immediately drove hard into the first turn as the race went back to green and slipped around Hinkle for the lead. 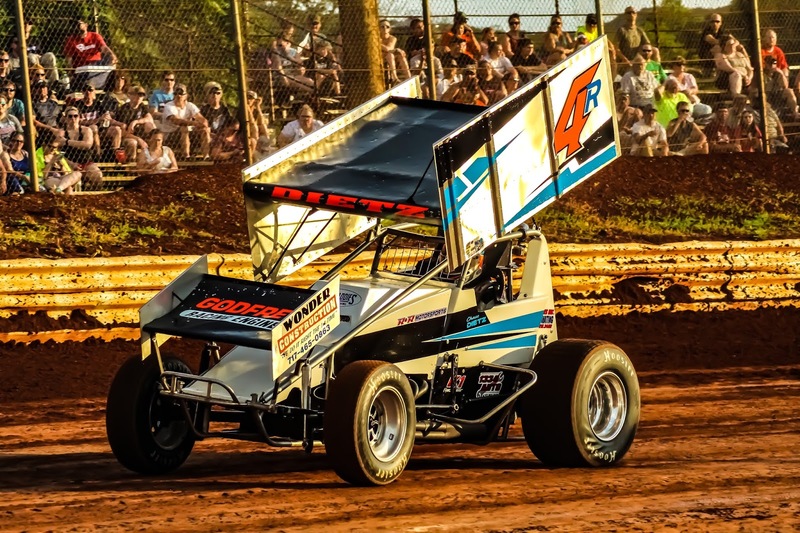 From there Walton drove away over the final five laps to record his first career Lincoln Speedway 358 Sprint win, and the second over his career since moving up from the micro-sprint sprint ranks a year ago. Hinkle had to settle for second after leading the first 15 laps, with 12th-starting Troy Wagaman, Jr. finishing third, Dwight Leppo fourth, and Trey Hivner fifth. Completing the top-10 were 14th-starting Kody Hartlaub, polesitter Jake Galloway, Dylan Norris, 16th-starting Kyle Denmyer, and 23rd-starting Tyler Ross. Heats for the 26 358 Sprinters on hand were won by Walton, Galloway, and Brent Shearer. Saxton’s Michael Altobelli, Jr. added to his great 2018 racing season with a dominating win in the 20-lap Mid-Atlantic Modified feature at Lincoln Speedway. Altobelli grabbed the lead from outside front row starter Rick Hulson on the second lap and then put on a clinic the remaining 18 laps, surviving four cautions en route to the win. A final caution with two laps to go set up a possible shootout with the veteran Hulson who had not given up after being passed for the lead on the second lap. But Altobelli was not to be denied this night as he drove away the final laps for another convincing 2018 win. Hulson settled for second, with polesitter James Sparks third, June 16th Lincoln winner Ray Kable fourth, and Justin Cullum fifth. Completing the top-10 were Brent Hamilton, Mike Corbin, Ray Cicerrele, Josh Hughs, and Cody Oliver. Heats for the 22 Mid-Atlantic Modifieds on hand were won by Brad Kling, Altobelli, and Rick Hulson. 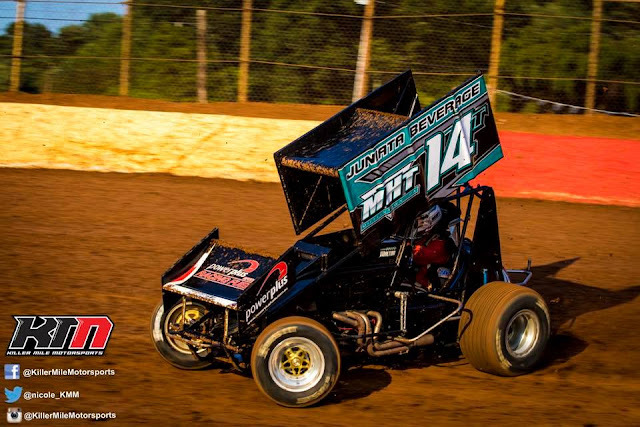 Next Saturday night, August 4th, Lincoln Speedway swings back into action with the 410 Sprints and 358 Sprints being joined by the Classic Racing Series. In addition, the York Flooring KIDS BIG WHEEL RACES will be held for the final time in 2018. Competition Pit gates will open at 5 PM, Spectator Pit Admission & General Admission gates will open at 5:30 PM. Hot laps will get underway at 7 PM, with heats getting underway at 7:30 PM. Mid-Atlantic Modified Feature Finish (20 Laps) – 1. 95H-Michael Altobelli, Jr.; 2. 40-Rick Hulson; 3. 26X-James Sparks; 4. 90-Ray Kable; 5. 95J-Justin Cullum; 6. 1ST-Brent Hamilton; 7. 25-Mike Corbin; 8. 83-Ray Cicerrele; 9. 7H-Josh Hughs; 10. 21-Cody Oliver; 11. 95-Fred Cullum; 12. 1N-Hunter Nester; 13. 44-Frank Dibella; 14. 99-Bryan Green; 15. 8M-Jeff McCauley; 16. 12S-Rusty Pennington; 17,. 13M-Gary Moreland; 18. 0-Haley Kaiser (DNF); 19. 80-Keith Reed (DNF); 20. 11-Brad Kling (DNF); 21. 70L-Kyle Lloyd (DNF). DNS: 16-Josh Robertson. No Time.